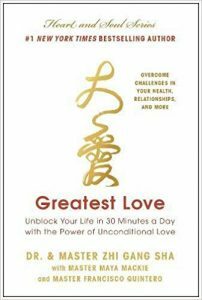 In December, I was gifted with the book “Greatest Love: Unblock Your Life in 30 Minutes a Day with the Power of Unconditional Love.” by Dr. & Master Zhi Gang Sha. Greatest Love is the first of ten great principles, including forgiveness, compassion, light, humility, harmony, flourishing, gratitude, service, and enlightenment. This pocket sized book is filled with meditations, poems, stories, techniques, and testimonials.There are five power techniques, including, Body Power, Soul Power, Sound Power, Mind Power, and Tao Source Calligraphy Tracing Power. I have started using a few of these techniques in my life and with clients. The intent is to create love, peace, and harmony for humanity and all souls. If enough people chant “Greatest Love” (Da Ai- pronounced dah eye), these words have the power to humanity and our earth. In all traditions, unconditional love has been the highest calling. For me, these meditations and techniques have a similar feeling to Reiki and Ho’oponopono. 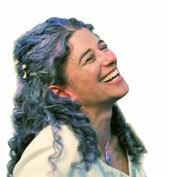 It’s fun to be learning another method of approaching our own healing, plus encourage pure love of self and others.